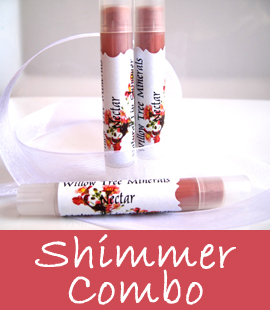 Our lip shimmers are creamy & moisturizing with luxurious color. Made with nourishing oils & rich butters they are simply divine! Color will be lighter on your lips than in the tube. Ingredients: Almond Oil, Coconut Oil, Beeswax, Avocado Oil, Cocoa Butter, Shea Butter, Natural Flavor, Mineral Pigment. Buy more and save more with our 3 piece lip shimmers. You can choose the colors of your choice. Browse through our shimmer listings to find your favorite colors, full descriptions & ingredients. Please add your color choices in the 'notes to seller' at checkout, or email us with your selections! Our creamy, vitamin enriched, mineral lip liners are soft & smooth for easy application. 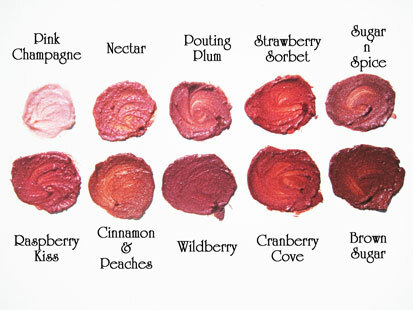 Define and enhanced your lips with these all natural pencils! This formula contains natural mineral pigments, pure waxes & oils to nourish the skin. Our sensitive skin formula is available in five beautiful colors. 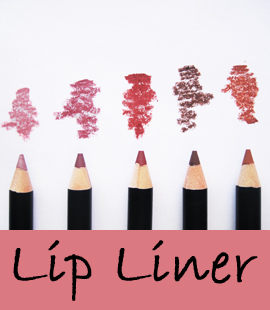 Liner is long lasting, water resistant & hypoallergenic. No harsh chemicals, talc, perfume, dyes, phthalates, bismuth, parabens, carmine or micronized minerals are used. And as always they are cruelty free. Our pure & natural blend of exotic oils and rich butters, blended with natural flavors and stevia are simply divine! Our formula is made with extra cocoa butter and beeswax for the ultimate moisturizer. Lips are soft & moisturized without petroleum and other toxic ingredients. 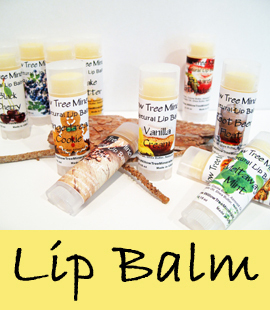 Lip balms are made in small batches to ensure accuracy, freshness and perfection every time! The oval tube compliments the shape of your lips for ease of application. Ingredients: Beeswax, Cocoa Butter, Almond Oil, Coconut Oil, Avocado Oil, Shea Butter, Natural Flavor. Our pure & natural blend of exotic oils and rich butters, blended with natural flavors and stevia are simply divine! 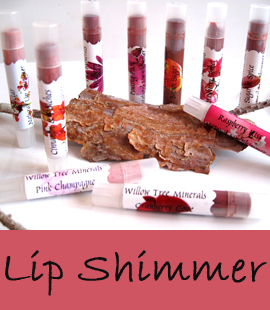 Lips are soft, moisturized & glossy without petroleum and other toxic ingredients. Our formula comes in a tube instead of sticky messy wands! 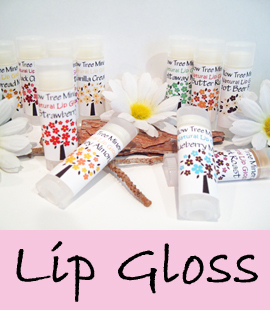 Lip glosses are made in small batches to ensure accuracy, freshness and perfection every time! The oval tube compliments the shape of your lips for ease of application. Ingredients: Almond Oil, Coconut Oil, Beeswax, Avocado Oil, Cocoa Butter, Shea Butter, Natural Flavor. 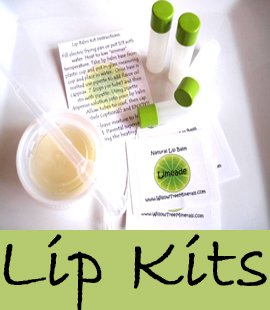 Try our all natural lip balm kit that includes everything you need to make 4 delicious lip balms! Kits are available in 14 flavors and are perfect for parties, gifts, scout troops, family time or just for fun! Caution: Parental supervision is recommended during the heating process!